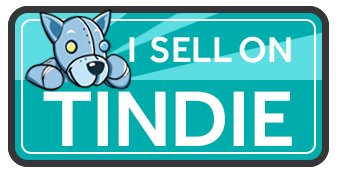 We have just launched our crowdfunding campaign at Crowd Supply for the Tinusaur OLED Display Kit – a bundle of boards and modules that allows you to connect an ATtiny85 microcontroller to an SSD1306 OLED display. This is a kit so you have to assemble the boards yourself by soldering the parts to the PCB thus start learning about electronics and physics. It might sound complicated at first but these Tinusaur boards are very easy to assemble using the guides and tutorials that we provide. Once all the boards are assembled you could connect a DHT11 sensor module, measure temperature and humidity and show the results on the screen. 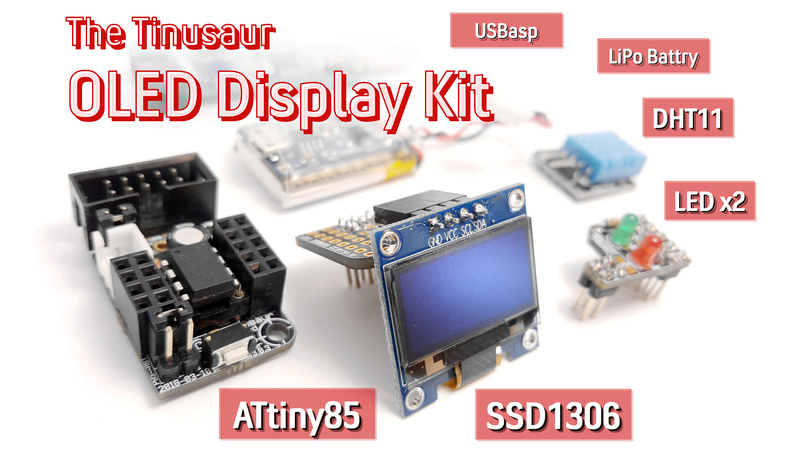 With the Tinusaur OLED Display Kit, you get everything you need to start: the Tinusaur main board with the ATtiny85 microcontroller, the LED shield for test and learning, the OLED display shield, the SSD1306 OLED display, the DHT11 sensor module, a LiPo battery kit, and, a USBasp programmer. The Tinusaur is an Open Source project – both the software and the hardware. Our own library for with the display, called SSD1306xLED, is considered one of the fastest for that display and microcontroller. Check out the campaign page for details! Meet the Tinusaur team at the BETT show in London ExCeL – 23-26 January 2019. Would you like to contact us and meet at the event or have a question about our platform? Fill out the form at this link. It looks like that our most popular software library is the SSD1306xLED. This is a library for working with OLED displays based on the SSD1306 controller. So, we decided to create a Tinusaur shield to carry an OLED display and we’re thinking about putting it up for crowdfunding this January. What could you do it a Tinusaur Board and an OLED display? There is an internal temperature sensor built into the ATtiny85 microcontroller and you don’t need any external components to use it. You can read its value and show it on the display. We’ve figured a way to measure the battery level (or the power supply voltage) connected to the ATtiny85 microcontroller by using the PB5 (that is the RESET pin, yes) and one additional resistor. It is not very precise but could give you an indication, at least. You could also connect one of those popular DHT11 sensor modules, measure temperature and humidity and show it on the screen. You could also connect the Bosch BMP180 sensor module and measure barometric pressure and temperature, and show it on the screen. That will also allow you to calculate the altitude – pretty neat, isn’t it? The official announcement with information about the start date, goals and other details is coming up in early January. This is the first draft of the guide how to setup the Blocktinu Tools under Windows. Please, download it and take a look. If you feel that there’s missing something or wrong, please, let us know. When we update the files we will commit changes in this repository: https://bitbucket.org/tinusaur/blocktinu-docs/.